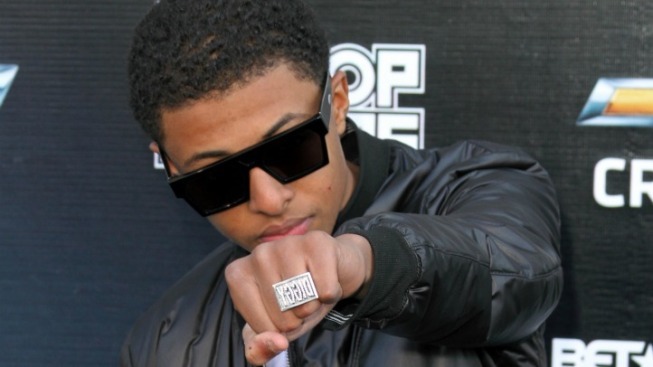 Hip-hop’s rising sensation Diggy Simmons took a break from the Scream Tour to stop by News4's studio Wednesday morning to talk about his latest career moves. The son of Rev. Run, of Run-D.M.C. fame, and nephew of Def Jam record label founder Russell Simmons is making a name of his own in the music industry with three mix tapes under his belt and a debut album on the way. The young touring artist, who inked a deal with Atlantic Records on his 15th birthday last year, will be at Pier Six Pavilion in Baltimore tonight with Mindless Behavior, New Boyz, Jacob Latimore, Hamilton Park and the OMG Girlz. The tour will stop in D.C. at DAR Constitution Hall Sunday night. In News4's studio Friday morning, Diggy discussed growing up in a famous family -- and on a reality TV show -- and the importance of his campaign against bullying. Diggy’s latest single, "Copy, Paste" can be downloaded on iTunes.